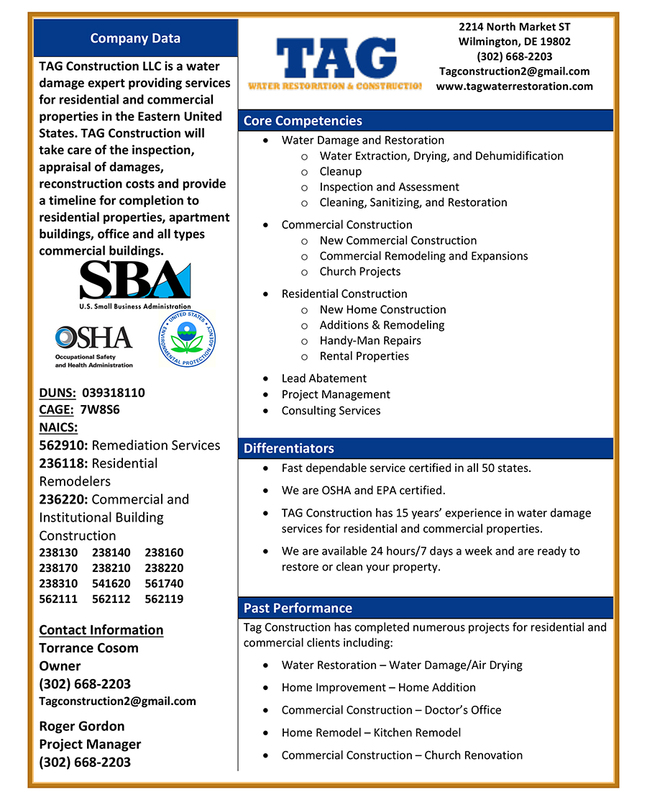 TAG Construction LLC is a water damage expert providing services for residential and commercial properties in the Eastern United States. TAG Construction will take care of the inspection, appraisal of damages, reconstruction costs and provide a timeline for completion to residential properties, apartment buildings, office and all types commercial buildings. Fast dependable service certified in all 50 states. We are OSHA and EPA certified. TAG Construction has 15 years’ experience in water damage services for residential and commercial properties.